Leasing is a great alternative to funding your business expansion or equipment replacement programme. Several factors can determine the decision whether to lease or buy and leasing can bring several advantages, which I outline below. 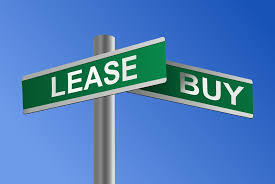 Of course, there can be disadvantages to leasing as well and the main ones are that the total payments on a lease will obviously cost more than the original equipment cost and you’re stuck with the equipment for the term of the lease. If you do go ahead with leasing, it’s worth asking if it is a finance or operating lease. The simple explanation is that with a finance lease, you have the option to own the equipment at the end of the lease period and with an operating lease the leasing company owns the equipment. There are advantages to both depending what the equipment is and how long you can use it – the longer the use without obsolescence, it’s better to use a finance lease and for items such as computers and peripherals, it’s better to go for an operating lease. Operating leases can be cheaper since the lessor will build in some residual resale value at the end of the lease period. Startups will find it difficult to obtain lease funding with no cash flow history but there maybe circumstances where leasing companies would consider them. Whatever type of lease you enter into, check the interest rates being charged, the terms and conditions of the lease and the leasing company you’re dealing with. The more established and bigger the leasing company , the better. You’re welcome. Hope you find the other articles also useful and interesting. I am new to the business world and have recently been trying to learn more about leases an loans. I googled lease and loan managing software and came across your blog. You give excellent advice and insight. Is this your only blog? Thanks Joannie. I am doing a series of articles on business nad how to manage your business in this blog. Please see the previous articles, which you may find of interest. You really give some great tips here. I agree that leasing is a great alternative to funding business expansion or equipment replacement programme. Following those tips can really help business owners to be successful in the near future. Thanks for your comment. I agree that leasing can be a great way forward for medium sized businesses as well. Most large ones would usually use some sort of debt to finance their capital equipment.